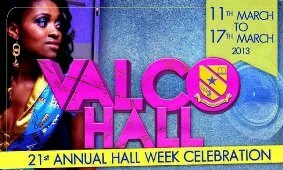 The much awaited Valco hall week celebration is ongoing from today 11th – 17th March, 2013. The celebrations mark the 21st anniversary of the hall and will be on the theme “National Unity & Development: The Role of University Students”. With MTN as the headline sponsor, several activities have being earmarked for the 21st anniversary of the Industrialists. On Monday 11th March, 2013 there will be koko in calabash with bread party, blood donation and medical screening, bonfire and Fan Ice party and antenna procession in the evening. On Tuesday, there will be a seminar to be addressed by Hon. Hassan Ayariga, Presidential Candidate of the People’s National Convention in the 2012 elections. There will also be a back to school and Champions League night. There will be a Milliky tea party, inter- hall quiz competition and mock dinning on Wednesday. On Thursday, Valco Hall diasporians will have an Indomie live band as well as a sports fiesta. It is the changeover day where both sexes are allowed to wear each other’s clothes. Friday will see the Industrialists clad in their Islamic attires and have an Islamic Insight. 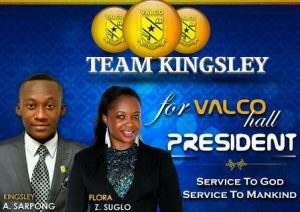 The much anticipated Face of Valco will also be held in the evening at the Center for National Culture. On Saturday a durbar and a Rox Barbeque party will be held. 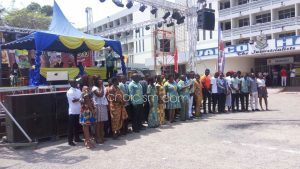 The celebrations will be climaxed on Sunday 17th March, 2013 with a church service in the morning, a special Omu- tuo party later in the day, and a Gospel rock show at night.